We wanna make sure that you start to work on the basics first things first in correct way, so that you’ll focus more on conditioning rather than going straight to strength and resistance. This concept is fundamental in order to let your tendons adapt to the conditions of stress that they are going to face whenever you will start to work on the progressions of the different Calisthenics main skills. By doing so you will notice how, after working for few months on the basic positions in order to build up the core and adapt to different kind of exercises, you won’t feel sore that much because of the previous time you spent for working indeed on conditioning no matter the age you have. Remember always that is better to train smart than burning the steps just to show that you have great skills despite the fact that maybe, your tendons are already too sore to bear the pain any longer and lack of form (quantity over quality). Always try, whenever you are performing an exercise, to figure out in your head how you could look while performing that specific movement, feel your body and try to focus on listening to it; in this way you’ll get wiser on understanding where you are lacking of form, where you are making mistakes and where you can improve if you’re already good at that specific movement. Now that you have this brief preface on what to keep always in mind before going to set up your routine, we can look further into it and explain how to program it. Try to work in pairs (of exercises), the total amount of volume should be higher in the beginning as we wanna make sure that we will work on doing more reps per each exercise in order to give the habit to the body to each specific basic movement. In order to give a sense to the whole thing, I will show you how to set up a routine by following the meso-cycle scheme. Going now more in depth on how to set up a Calisthenics Beginner routine, consider that most of the exercises that are part of this world have as a solid base the pulling and pushing movements. This means that, we shall include at the beginning of our routine first of all those exercises that are going to “take” most of our energies so that we can progressively reach the end of our routine without feeling exhausted and sore all over our body. IMPORTANT: Make sure that, before going to set up your routine, you must take a first session apart in order to understand from where you have to begin. This means that, in order to decide how many sets, reps and seconds of hold you need to include in your routine, you will have to try out (for every exercise) how many reps, sets and secs you are able to execute and hold in perfect form. The first element could be made of, for instance, 4 sets of X reps of Pull Ups where X reps should be defined according to which is the total number of repetitions you are able to make without losing the form. So let’s say you are able to complete in correct full form 4 reps, then you could start to work on 4 sets of 2 reps each and then progressively increase the volume by adding one more rep at a time (month by month). Then we could alternate this first exercise with 4 sets of X reps (following the same principle above) with a pushing exercise so, in the most simple case, we could add the Push Ups. Next step could be to work on some specific skills, so if we have decided for ex. to start to work on Back Lever and Planche, we could proceed by adding another couple of exercises per each of these skills. Could be 4 sets of X reps of Skin the cat, that is a propaedeutic exercise very effective to build up the strength in our shoulders and back in order to provide support once we are going to perform the hold exercise such as tuck back lever hold. Together with it, we can add a basic exercise for the planche like the planche lean that is very useful to build stronger shoulders and be then able to go into the tuck planche hold and all its progressions; to summarize we could consider a 4 sets of X secs of planche lean. 4 sets of X secs of Tuck Back Lever hold (pronated grip) together with 4 sets of X reps of Pseudo Plank Push Ups. Now that we have set up the main exercises including pull and push, we can go on and add two leg exercises and here you have freedom to choose the most suitable for you. Keep in mind that, if you are in the gym you can also consider to work on barbell exercises such as Deadlifts (or Romanian, Sumo), Squats (or Regular, Front Squat), dumbbell lunges (front, side to side), weighted Pistol Squats, weighted calf raises and many more. If instead you are going to train outdoor, here we can go on a different level and include assisted or free pistol squats, Squat jumps, plyometric Squat jumps, lunges, free Squats, calf raises, 180 degree jump Squats, burpees (that works both on chest and legs), frog jumps, squat stance sided walk, jumping lunges and many more. 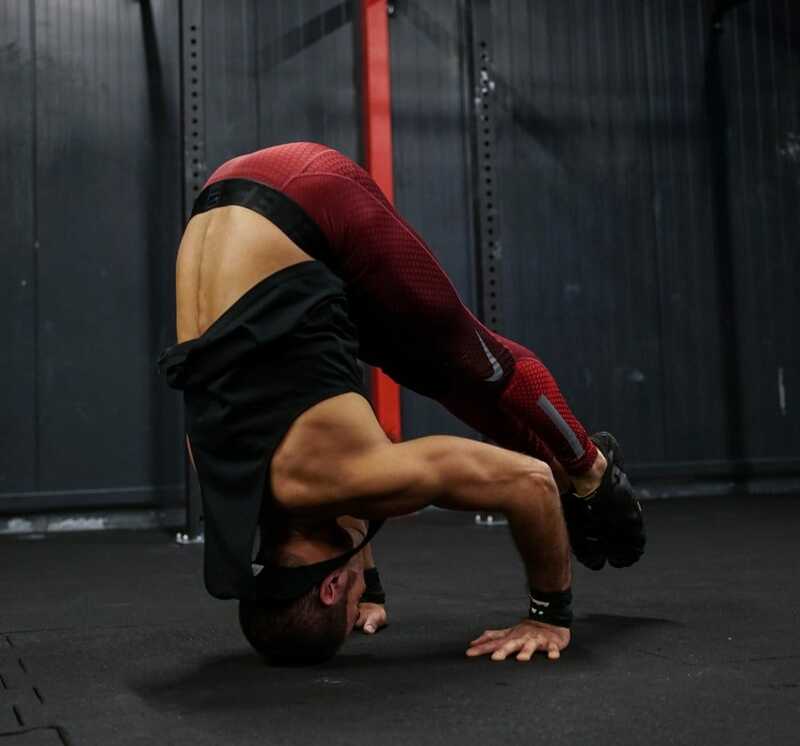 To close this Calisthenics beginner routine, then I suggest to include as previously anticipated, a couple of core exercises such as dragon flags (advanced tuck, one leg, straddle, full), ab wheel and all the other main core exercises we have enlisted in our article regarding the core (on the bar and on the floor) so I invite you all to take a look back at it! I used to bodybuild one and a half year back, but it got the best out of my muscles. Now i’m looking at this calisthenics and i’m motivated and ready to go. But there is one thing I’m not getting. With calisthenics do you do cycles of excercises and with every cycle 1-3 minutes of breaks or do you do just do it like body builders one pull up excercise with this many sets and reps then another excercise till you have done the full body? Welcome to Caliathletics! I do really apologize for my very late reply, but now I’m gonna answer and hopefully fix all your doubts. Calisthenics, as you have surely understood, is a method that implies, first thing first, the strict use of your own bodyweight. 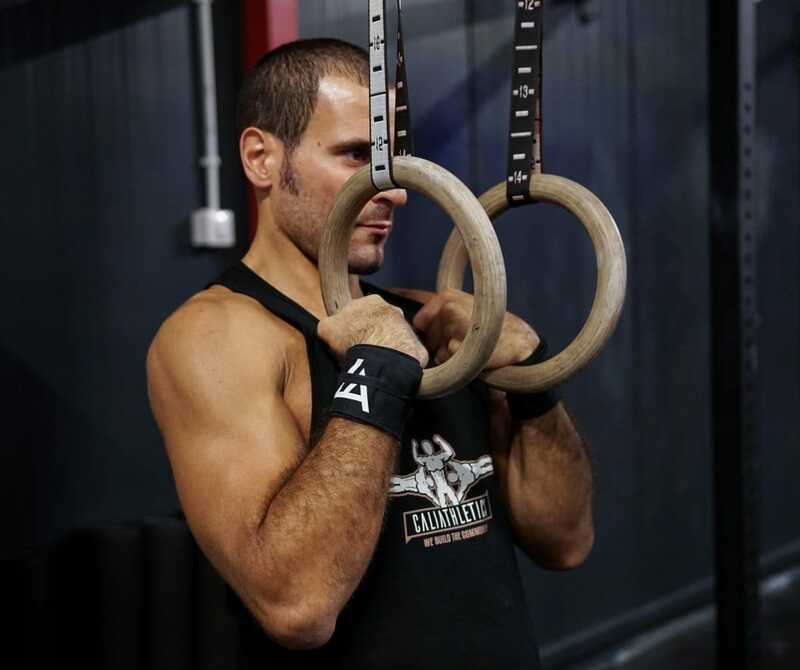 To master all the main skills of Calisthenics such as Front Lever, Back Lever, Muscle Ups, Planche, Handstand, V-sit and much more, you have to firstly become a master of the basics. These basics are representing all the main exercises divided in “pushing exercises” and “pulling exercises”. As you already know main pushing basic exercises are push-ups and dips and as main pulling exercises chin-ups and pull-ups. When you train Calisthenics, somebody likes to adopt a sort of bodybuilding schedule adapted to bodyweight and so never works on full body, but divides into muscle groups his workouts. In my personal opinion, Calisthenics, being a strict bodyweight discipline should be approached by learning how to distribute correctly the workload throughout every workout so to work all the time in full-body rather than by isolated muscle groups. According to such method also the total volume, hence sets and reps have to be adjusted depending on which are your initial goals; for instance, for a beginner would be recommended to focus on developing a proper conditioning in tendons and ligaments by performing high volumes in terms of reps per each set (between 10-15) and then later on decrease, but incrementing the difficulty of the exercise. Since the main skills I spoke about above, require a lot of patience and dedication in order to master them, the approach for training them implies to work on many sets initially for many seconds since most of them are static exercises (isometrics), apart of course Muscle-ups that require instead to develop a fair level of strength and explosiveness to perform them safely. 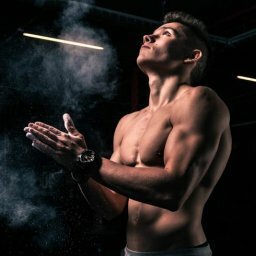 I hope to have given you a clearer scenario of how Calisthenics works and so of which are the most common methods adopted to train it. Thank you for all these information. I’ve always wanted to do Calisthenics but never found which basic exercise were the main. After doing many Australian pull-ups and assisted pull-ups, I’m finally able to do a full pull-up, now I just have to keep working on it to increase the volume :). With your post I know what to focus on now, which is to master push up, dips, pull-ups and chin-ups. Thank you! Thank u so much for the very important and positive feedback of yours! Keep up with the good work and stay tuned for more interesting topics regarding how to manage the workload in your daily workouts! We wanna make sure you are able to keep progressing towards bigger goals! See ya!